The 2019 $0 down, VA home loan limit for Owyhee County is $484,350. The second-largest county in Idaho, Owyhee County encompasses a total area of 7,697 square miles. The county was officially created by the Idaho State Legislature on December 31, 1863, making it the first county organized in Idaho. Owyhee was once one of the most-populated counties in Idaho but is now one of the least-populated, having a population of 11,353, including a veteran population of 922. The county is mostly made up of intermountain high desert. Owyhee County is a scenic location with a laid-back community. The cities and towns offer great restaurants, schools, museums, and more. Owyhee County has many national protected areas, making it a great location for nature lovers. Big Jacks Creek Wilderness is one of the many popular wilderness areas in the county. Big Jacks is full of grasslands and canyons that visitors love to hike and explore. The tallest canyons stand at an elevation of 5,872 feet. The Columbia River flows through the canyons, making it a great place for fishing. Mountain quail, bighorn sheep, and deer are just a few of the species of wildlife that can be found in Big Jacks Creek Wilderness. Another beautiful wilderness area worth checking out is North Fork Owyhee Wilderness. Made up of large basalts and flowing rivers, North Folk is a great place for the most extreme outdoors people. The area is home to a vast diversity of wildlife including hawks, eagles, falcons, mule deer, and more. There are also many rare plant species located in North Folk. Camping is very popular in North Fork Owyhee Wilderness. The famous Owyhee River, a tributary of the Snake River, flows through Owyhee County. The river is 346 miles long and flows from Nevada to Oregon. Boating, canoeing, and kayaking are just a few of the activities you can engage in at the Owyhee River. Boaters will enjoy the excellent views provided while floating down the river. Avid fishers will enjoy the diversity of fish species that make their home in the Owyhee River. The Owyhee County Museum is an excellent place to learn about the history of Owyhee County. The museum houses historical documents, articles, artifacts, and much more! There is also a fully stocked library located near the Owyhee County Museum. Be sure to visit one of the excellent restaurants or shopping areas in Owyhee County. Mountain Home Air Force Base is located just a short drive away from Owyhee County. Veterans will enjoy the many benefits offered in Idaho, including disability compensation, tax breaks, healthcare benefits, and more. The median housing cost in Owyhee County is $121,200, and the median household income is $32,175. Contact VA Home Loan Centers for help finding a VA-approved property and to apply for a VA loan. 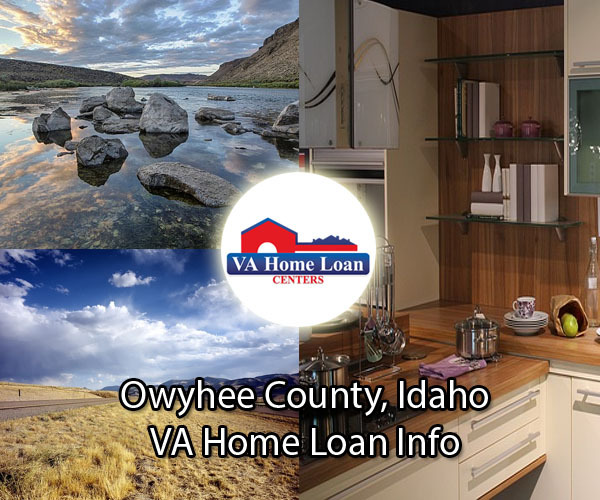 For an updated list of VA-approved properties in Owyhee County, call VA Home Loan Centers at 888-573-4496. There are not currently any VA-approved condos located in Owyhee County. VA Home Loan Centers can help you obtain condo approval on almost any condo.